Product prices and availability are accurate as of 2019-04-18 20:42:32 UTC and are subject to change. Any price and availability information displayed on http://www.amazon.co.uk/ at the time of purchase will apply to the purchase of this product. This is a very interesting read. 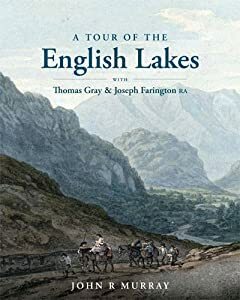 It is a book in three main parts: Thomas Gray's Journal of his tour of the Lake District in 1769, eighteenth century watercolours from Joseph Farington, with engravings, and a lengthy section in which the 18th century art is shown alongside corresponding photographs of the early 21st century. In a lengthy and informative introduction John Murray explains the background to the writing, the paintings and the engravings as well as the pains to which he had to go to bring them together in this fascinating volume. At the end are some further drawings. It is interesting to see how little many parts of the Lakeland landscape have changed over two and a half centuries, and in some cases how much. One particular type of change has been the planting of trees that have altered or even obscured some previously lovely views. This confirms my own prejudice that over-planting of often inappropriate species combined with today's protection of trees has on balance been bad for the Lake District. I admit that this has been a prejudice without much factual base but I like to think that at least to some extent it is now justified. This is surely a "must read" book for anyone who is interested in the way the Lake District has developed over recent centuries. 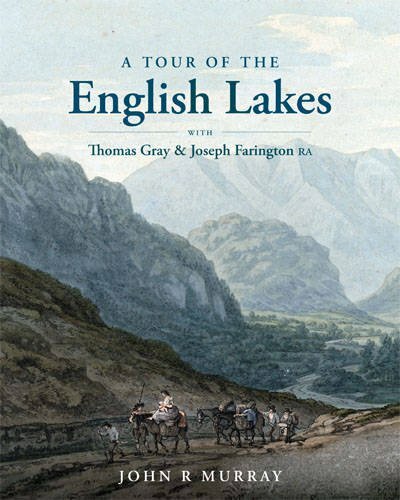 In 1769 Thomas Gray, best known for his Elegy in a Country Churchyard, recorded a tour of the Lake District in what is now hailed as the first example of modern travel writing. Following in his footsteps, Joseph Farington painted many views along the way. This delightful volume unites Gray's narrative, Farington's watercolours and the immensely popular prints based upon them, alongside modern colour photographs that show how little this much-loved landscape has changed in two centuries.